PALM BEACH, Fla. (AP) - Vice President Mike Pence pledged Saturday that Supreme Court nominee Neil Gorsuch will join the nation's highest court "one way or the other." Pence made the pledge during a speech in Philadelphia to the Federalist Society, a conservative legal group. His remarks echoed President Donald Trump's comments from earlier in the week in which the president urged Senate Majority Leader Mitch McConnell to "go nuclear" and scrap longstanding rules requiring 60 votes if Democrats move to block Gorsuch. A least one Democratic senator has vowed to block Gorsuch's nomination as payback for McConnell's decision to wait until after the Nov. 8 election to fill the opening created by the February 2016 death of Justice Antonin Scalia. The Senate held no hearings or votes on the Supreme Court candidate that President Barack Obama put forward. 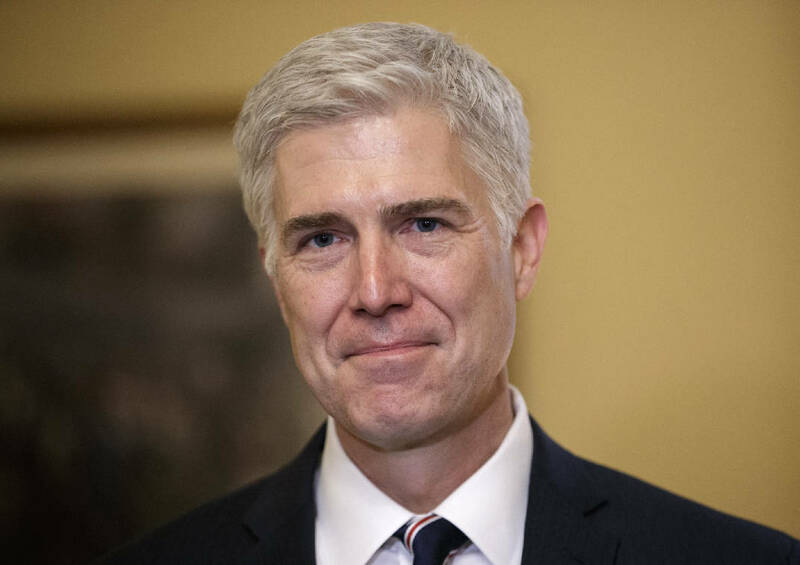 Trump on Tuesday announced Gorsuch, 49, a judge on the Denver-based 10th U.S. Circuit Court of Appeals, as his choice to succeed the conservative Scalia. Pence said Gorsuch had already met with 12 senators from both political parties and is willing to meet with all 100 senators. The vice president said a candidate to become an associate justice on the nation's highest court had never faced a successful filibuster and "Judge Neil Gorsuch should not be the first." "Rest assured, we will work with the Senate leadership to ensure that Judge Gorsuch gets an up-or-down vote on the Senate floor - one way or the other," Pence said. "This seat does not belong to any party or any ideology or any interest group. This seat on the Supreme Court belongs to the American people, and the American people deserve a vote on the floor of the United States Senate." Pence said the Senate had voted unanimously to confirm Gorsuch to his current post, and that nearly a third of the senators who voted back then remain in the Senate. The Senate's vote on Gorsuch in 2006 was by unanimous consent, or voice vote. It was not a recorded vote.